Shooting suspect Kori Muhammad was arrested in Fresno, Calif. on Wednesday, April 19, 2017. 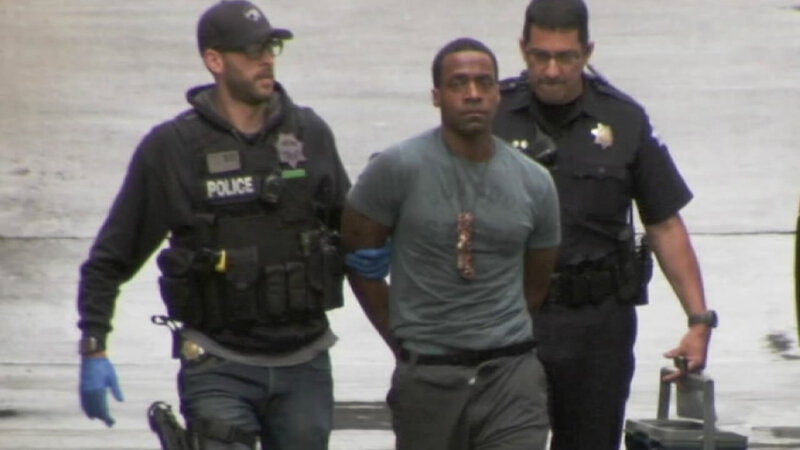 FRESNO, Calif. -- The black suspect in a racially motivated shooting in Fresno has been charged with three counts of first-degree murder in the deaths of white men targeted randomly on the street. Prosecutors say Kori Ali Muhammad also was charged Wednesday with three counts of attempted murder for those he shot at but didn't hit, one count of shooting at an occupied vehicle and possession of a firearm. He's already been charged with first-degree murder in the slaying of a white motel security guard days before the rampage. Police say the 39-year-old told investigators he wanted to kill as many white people as possible, laughing as he explained his actions. Fresno District Attorney Lisa Smittcamp says Muhammad faces a death sentence or life in prison if convicted.